When it comes to my hair, I am really good with styling products but when it comes to shampoo and conditioner I tend to, (dare I say it), often miss conditioner altogether. It’s pure laziness on my part and my excuse is that the hot water ran out even though I know that rinsing your hair with cold water is actually better. I also try to compensate for it by using serum and the like but it’s really not the same thing. 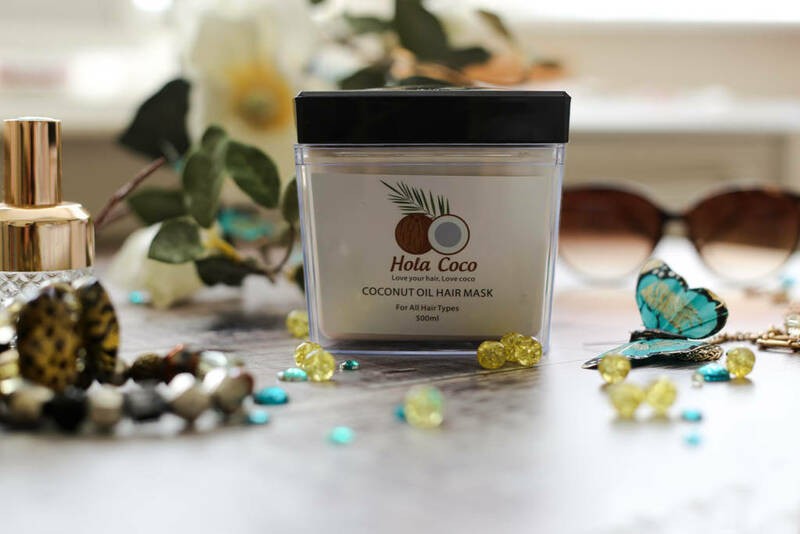 It’s probably why my hair has been dry of late and in need of some serious TLC, so I was pleasantly surprised when Hola Coca offered to send me their Coconut Oil Hair Mask to review – honestly it could not have come at a better time. I’ve used coconut oil in its raw form but I love the idea of having a ready-made hair mask to hand and in fact I’m a newbie to hair masks in general so I was super excited to try this. 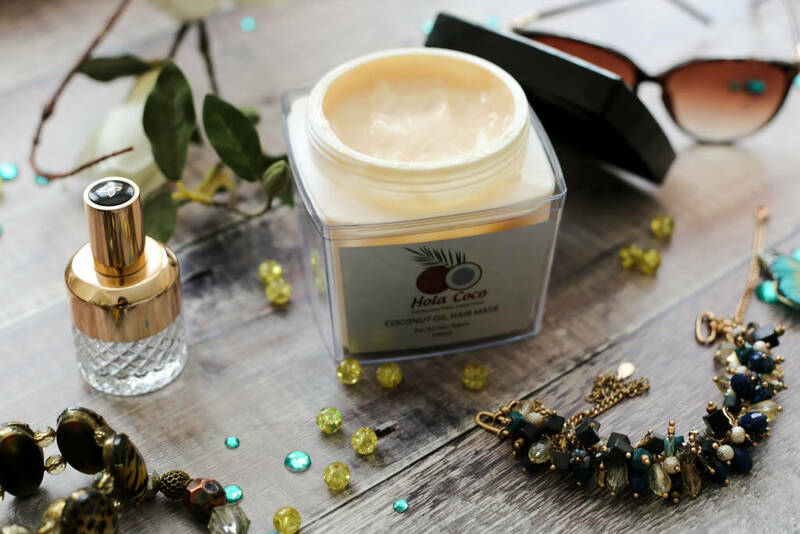 The Hola Coco Coconut Oil Hair Mask* is infused with coconut oil and shea butter extract and is a deep recovery hair mask ideal for all hair types and especially for dry damaged hair, helping to restore moisture and shine as well as reduce frizz. It costs £29.99 and comes in a large 500ml tub which I think is really good value for money. I’ve been using a generous amount for the past three weeks every time I wash my hair which is normally twice a week and I’ve barely touched the sides. 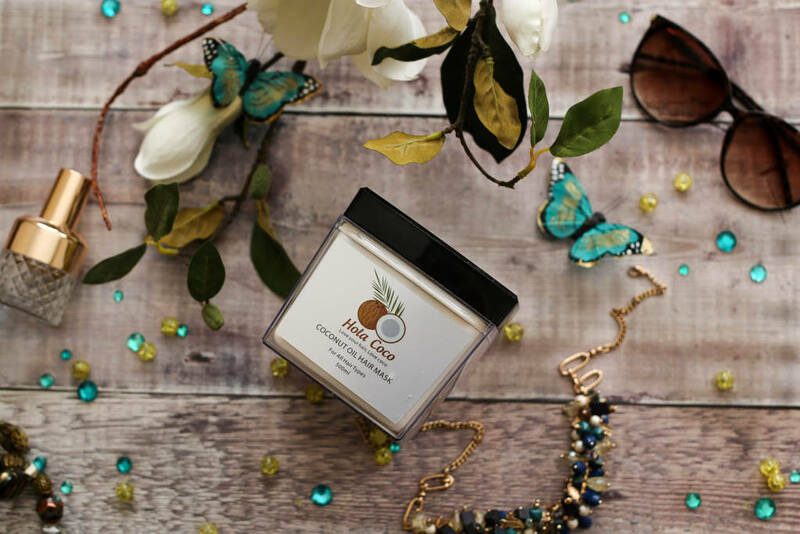 What I love about this hair mask is that even a lazy girl like me can commit to this – a sign that it works of course. I think it is also one of those hair masks where you can improvise and find a way that works for you but for now I’m sticking to the instructions which are pretty simple. You apply a generous amount from root to tips on towel tried hair after shampooing, leave it on for 15-20 minutes and then rinse out. It is even recommended that you can leave it on overnight but I have not tried that yet. What I love about this is that it is really easy to rinse out and I can instantly feel how soft my hair is plus there is no tugging with the brush as I comb my hair out afterwards – it literally just glides through which means less split-ends for future. I use my styling products as normal and I am very pleased that this does not make my hair flat. I loathe conditioning treatments which weigh the hair down but this hair mask maintains a natural volume in my hair. 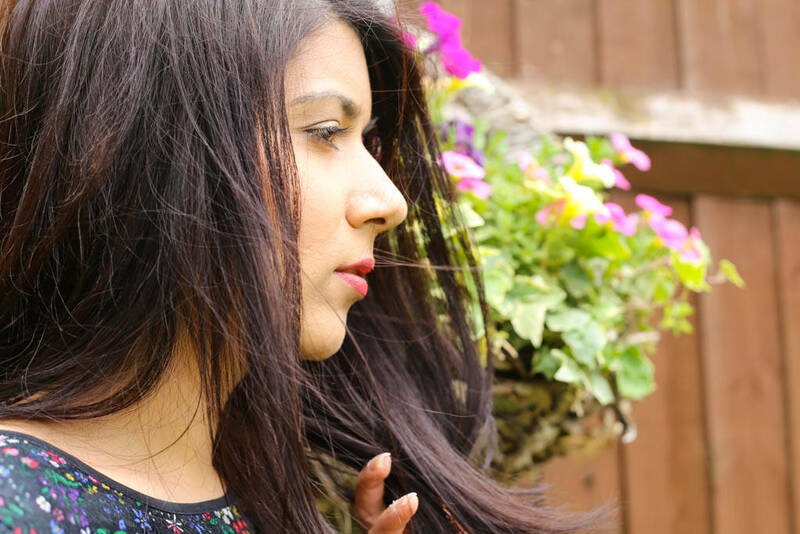 You can see the finished results below – my hair feels stronger, shiny and a lot more healthy than it was before and I am definitely looking forward to continuing to use this product and see the condition of my hair improve even more. If you want to find out more please visit the Hola Coca website here.